Smartline is a local team of professionally qualified mortgage advisers with experience spanning over many years in arranging secured loans for borrowers throughout the Peel and Harvey region. As Mandurah residents and investors in local real estate ourselves, we have a deep understanding of the local property market and our mortgage advice and service is second to none. At Smartline, you won’t find numbers or queues, just great service with that personal touch. We are here to remove the stress from the purchase of your next home or investment property. We also provide solutions for first home buyers, people wishing to refinance their mortgages or loans, investment property finance, loans for the self employed and personal finance solutions. When it comes to helping you locate and secure the right loan options you’ll be hard pressed to find anyone in the Peel Region with more experience or a finer reputation for service and integrity than our Principal, Coral Jones. Coral founded The Mortgage Gallery at No. 8 Sholl Street in Mandurah 10 years ago, when she already had more than 20 years’ previous experience in financial management and services. Coral is widely recognised and respected both within and outside of the lending industry, as someone who always places the best interests of her clients first and who enthusiastically endeavours to find the loan that is perfectly suited to their unique circumstances and needs. In addition to overseeing aspects of the day to day operations of our business, Coral continues to serve a substantial base of extremely satisfied existing customers who also refer many of their relatives, friends and colleagues to Smartline Mandurah, which is the ultimate testament to her personal professionalism and integrity. Since 2004 Coral has also been formally recognised by her industry peers on numerous occasions with prestigious awards presented to her over consecutive years for Outstanding Achievement both in customer service and sales at national Gold and Diamond levels. Phil began his working life with R&I Bank, which was as he describes ‘back in the day’. Today he works behind the scenes of our business to ensure that our team has all of the technical support and resources they need to deliver the highest quality professional service to our valued customers. He is passionate about quality products, systems, personal integrity and real teamwork, which places the customer at the centre of everything we do. Phil empowers our front-line team to remain very accessible to customers at all times and the freedom to dedicate the vast majority of their time to understanding and servicing client loan requirements with expertise and integrity. 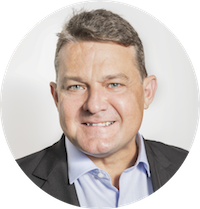 Phil hasn’t always been in financial services, but has been managing commercial finance throughout his career as a very successful entrepreneur. He started his first successful business in Mt Barker, where he and Coral met and married. Together this dynamic duo then established a very successful mail order business and two retail stores – all of which they sold in 1989 and moved to Mandurah. Phil then co-founded another very successful enterprise where he led the research, design, development, manufacture and distribution of very specialised equipment products. In 2005 Phil sold his interest in the company, which had grown to over 30 employees and dominated its chosen market in over 30 countries. Amy is a fully qualified and experienced home loan specialist with a well established career in the finance industry having previously worked as a lender and financial planner at Bank West. 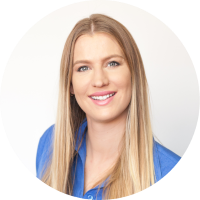 Since joining The Mortgage Gallery now Smartline Mandurah in 2009 Amy has dedicated her expertise in finance to understanding client needs and providing them with the right financial solutions. 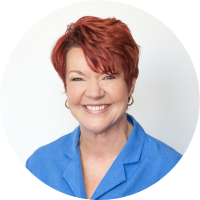 Amy consistently demonstrates a personal willingness to keep her clients informed through each and every stage of the loan application and procurement process. She strives to ensure that her customers completely understand the range of financial options available to them and those that are best suited to their circumstances. In 2010 Amy was nominated for the AFA Rising Star of the Year Award. This award not only recognized her excellence in the profession – as an adviser of integrity who provides high quality holistic advice to clients – but also her demonstrated commitment to education and her contribution to her industry and community. 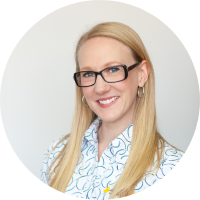 Amy is easily recognized in our office by her friendly personality and infectious enthusiasm. As an expert in her field Amy offers an outstanding service to our customers and will attend to your enquiry promptly and efficiently. 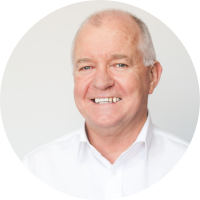 With over 30 years experience in the finance industry, Rory Sievwright is ideally placed to find you the right loan solution for your individual needs.Rory is able to share his knowledge and experience to ensure your home loan application is as simple and hassle-free as possible. New clients are generally referred and recommended by existing customers, and his expertise and commitment is demonstrated from the outset. “I ensure that my clients know exactly where they stand and fully understand the alternatives so their loan will work for them now and in the future. With extensive experience in the finance industry, Personal Mortgage advisor Kate Crittall has outstanding mortgage knowledge and is well placed to guide Smartline Mandurah clients through the home loan process. Kate prides herself on her work ethic and ability to build professional relationships based on mutual trust and respect. With almost 30 years of banking experience including 20 years of business finance experience, Brad has the knowledge to help your business growth. Whether it is helping to free up business cash flow, assisting your business with a full finance review or helping you with an important purchase, Brad can provide the professionalism that you and your business deserve. 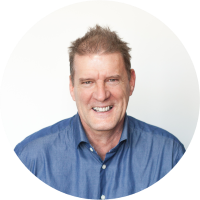 With his commercial knowledge and understanding of your business and goals, Brad can make the world of difference, saving you time, money and stress. Susan has over 18 years of experience in all aspects of banking, lending and lending management, and has lived in the Peel Region for 22 years. As the personal assistant to Coral, our Principal, Susan has the important responsibility of supporting all of our advisors by actively managing each and every loan application received into our offices through the process of lodging, query handling and settlement. 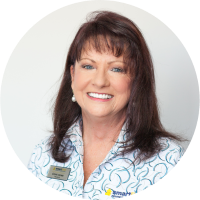 Most of our clients recognize Susan as the voice of The Mortgage Gallery Mandurah as she often serves as the liaison between Smartline Mandurah, the banks and our clients. Susan is dedicated to ensuring that each of our valued clients remains fully informed through each step of the lending process. She strives to ensure that each of our valued customers understands all of the relevant procedures and generally ensure that their borrowing experience is easy and stress free.